One of our two 2015 ulluco introductions. The varieties Humptulips and Moclips were grown from seed and may be the first seed-grown varieties offered for sale anywhere since the Incas were breeding the crop. Ulluco seed has long been regarded as nearly impossible to produce, but we’ve been doing it for several years now and we’re looking forward to producing improved varieties for North America. Although it wasn’t initially, Humptulips has become my favorite of the new varieties. 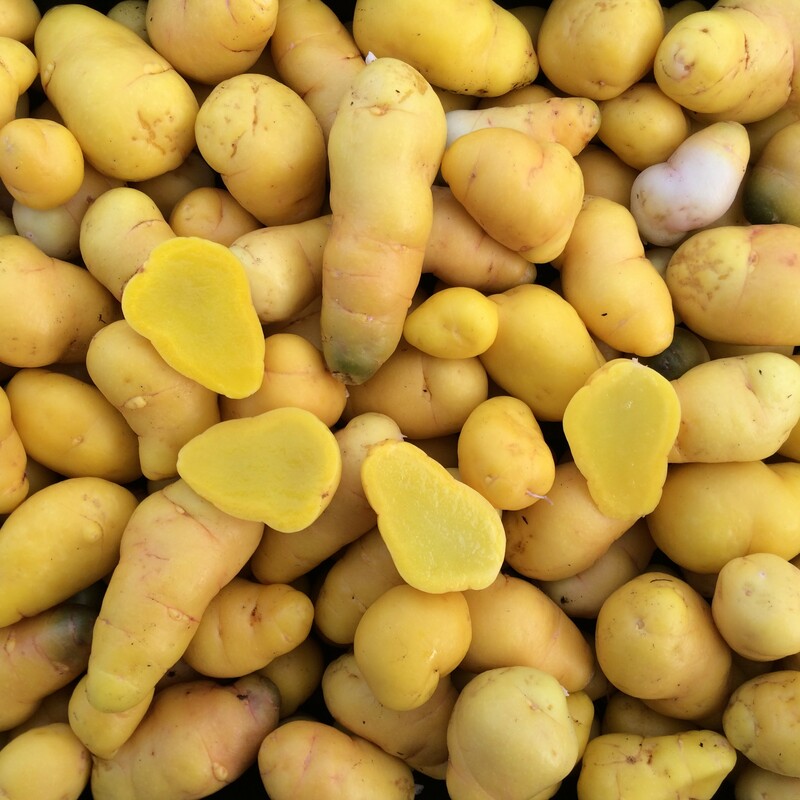 Plants are large and vigorous, with large, lumpy yellow tubers that have very slight red markings at the eyes. 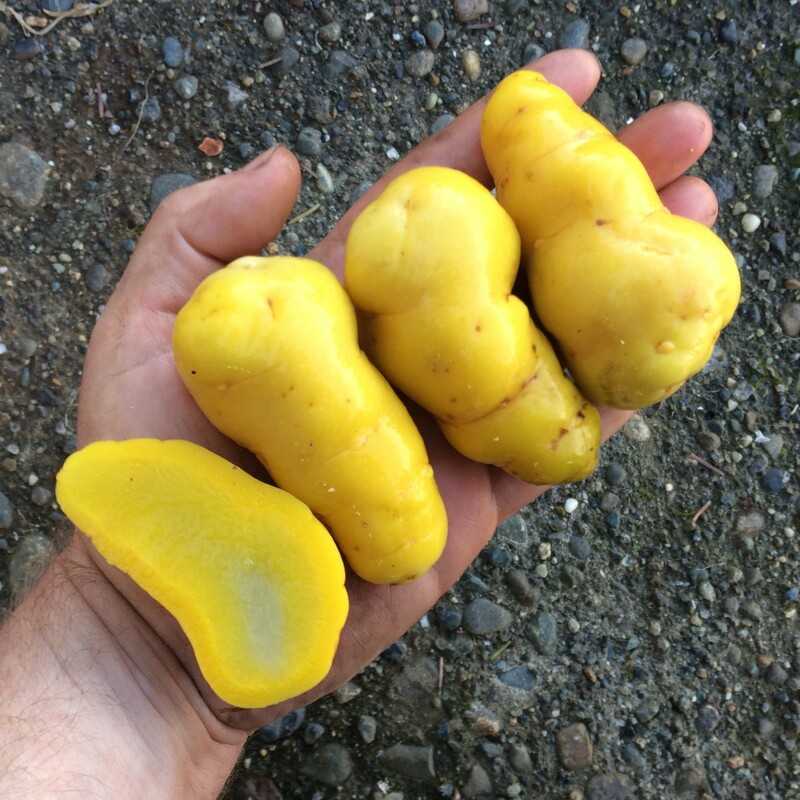 The flesh is a deep yellow and the tubers have a strong earthy/beet flavor. Produces a reliable two pound yield here, which is great for ulluco. 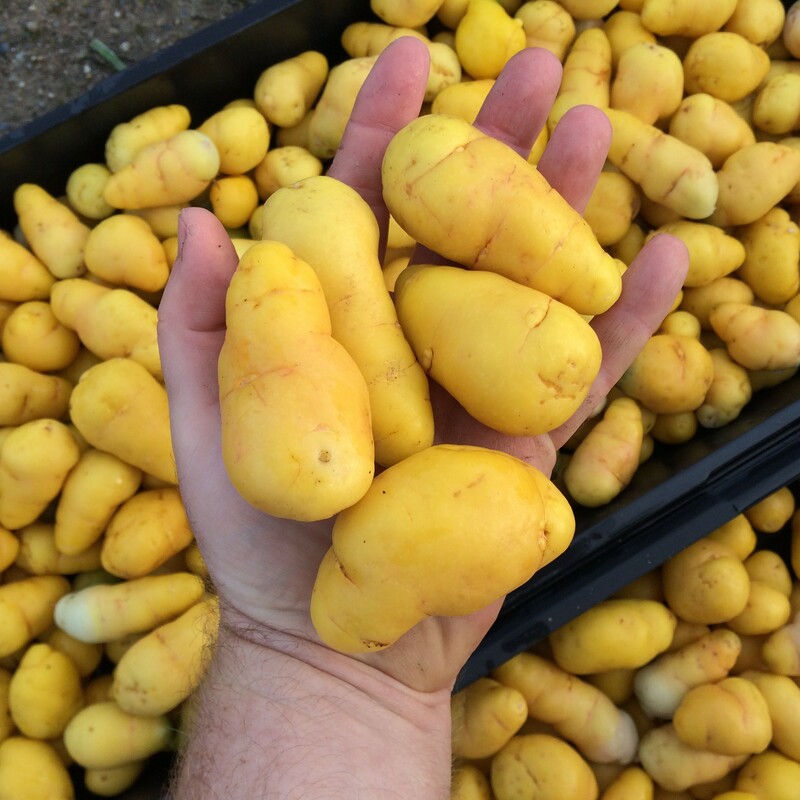 Like most ulluco varieties, color develops fairly late as the tubers mature. If harvested too early, this variety is white with some light pink markings.